Kerry Badgley is a proud board member of the North Grenville Public Library, and has served as its president. At present, he is President of the Ontario Library Association (for 2018), and Past President of the Ontario Public Library Boards’ Association (OLBA). Kerry is also a Board member of the Southern Ontario Library Service, Trustee Council 8. He received a BA in History/Political Studies from Trent University, and an MA and PhD from Carleton, both in Canadian History (with an emphasis on Ontario History). 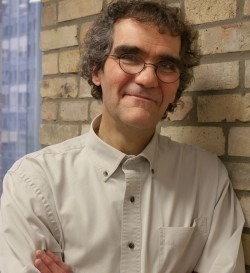 He served as English-Language Editor of the Journal of the Canadian Historical Association, and has published in the areas of social, political, rural and immigration history. He currently co-edits InsideOBLA for the OLBA. After serving as an archivist at Library and Archives Canada for several years, in 2005 he joined the Canadian Food Inspection Agency, where he is currently Manager, Access to Information and Privacy. Kerry and his wife Sue are proud parents of a son and a daughter, and they reside in Kemptville, Ontario.